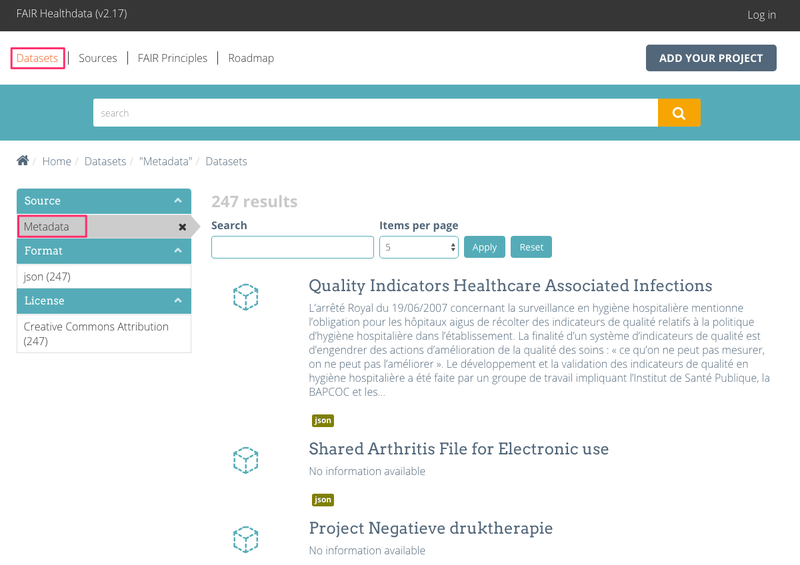 Find data collection you are interested in by searching / browsing FAIR portal to Belgian health data (https://fair.healthdata.be). 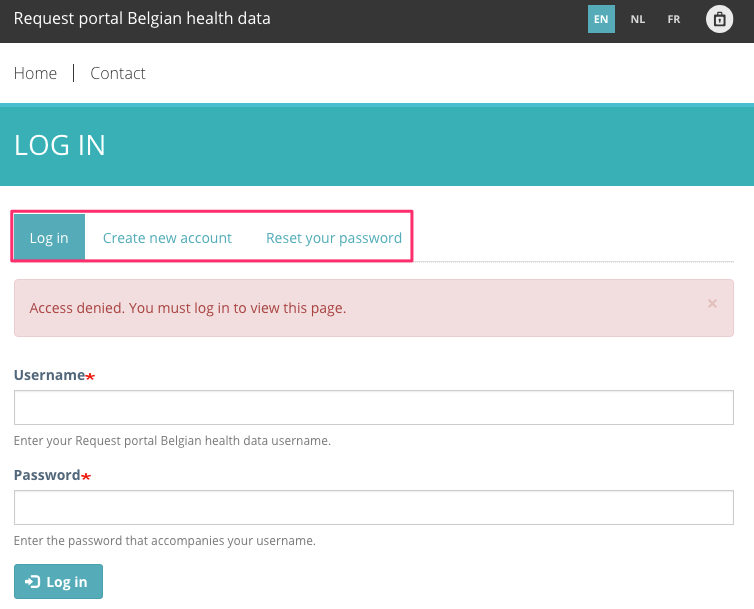 For the moment you can automatically request access only for Dataset originating from source "Action point 18 of the Belgian Roadmap eHealth (AP18)". You can do so by searching for a dataset and applying Source filter 'Metadata'. 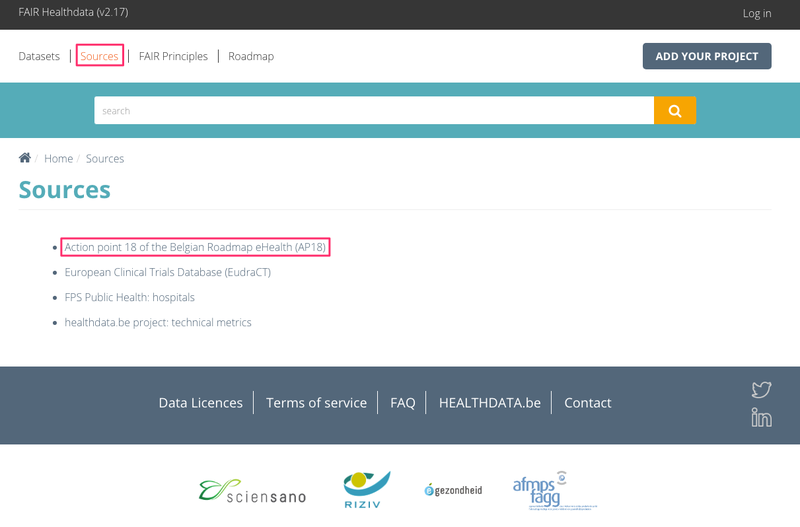 Otherwise go to Sources, click on 'Action point 18 of the Belgian Roadmap eHealth (AP18)' and search there. 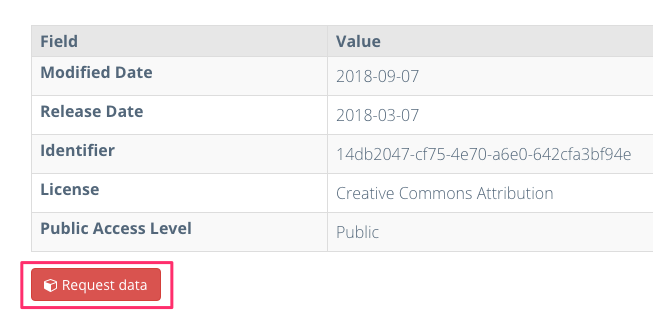 Click through to the detail page of the dataset you are interested in, scroll to the bottom of the page and click on 'Request data' button. 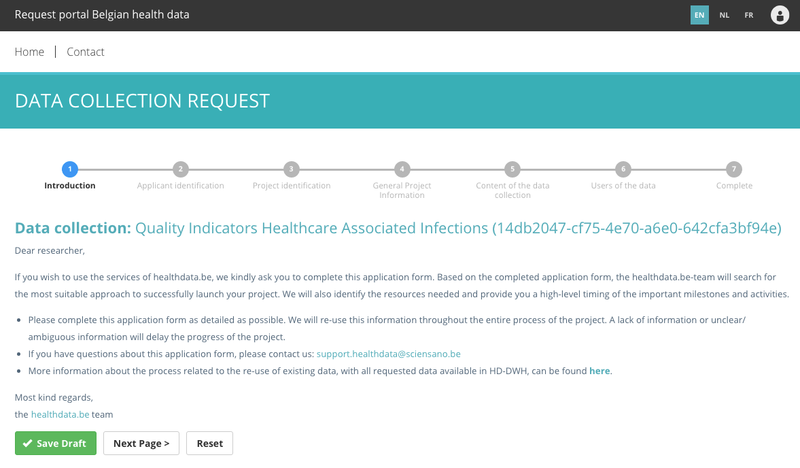 A new window / tab will open and you will be automatically redirected to a Request portal (this site) Data Collection Request form. If you are not yet logged in, you will see a login form instead. After login you will be automatically redirected to the Data Collection Request form. 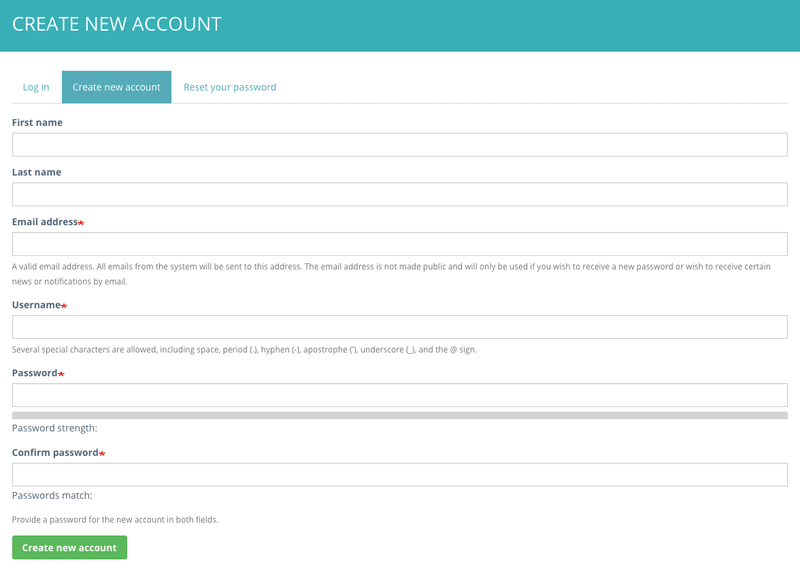 If you don't have an account yet, you can create one yourself, by going to Login page and selecting 'Create new account' tab. If you forgot your password, please go to the tab 'Reset you password' and follow the steps there. Please fill the form as detailed as possible. Once your request is completed and sent, you will receive a confirmation email. 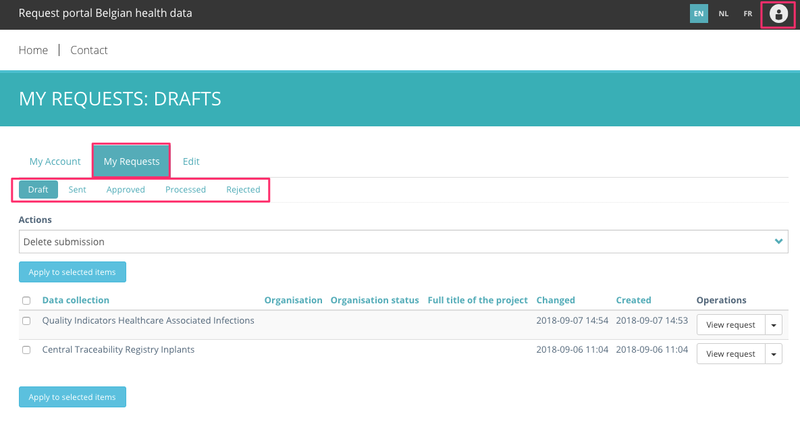 A notification will also be sent to a Data Collection manager, who will review your request and will approve or reject it or contact your for more information. You can follow your requests by logging in on this site, and using the tab 'My requests' on your profile page. If you have questions, problems or feedback, please let us know by using our contact form.